Does our obsession with technology and documentation go too far? 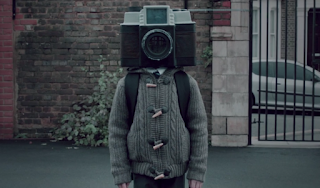 This powerful, short film titled “The Boy With The Camera Face” by filmmaker Spencer Brown is a satirical fairy tale about a boy born with a camera instead of a head who cannot escape the lens. From the moment of his birth, everything about his life is recorded. Does this sound like our students, or maybe you? The narration by Steven Berkoff tells the story in a nursery rhyme or somewhat Seussical way. 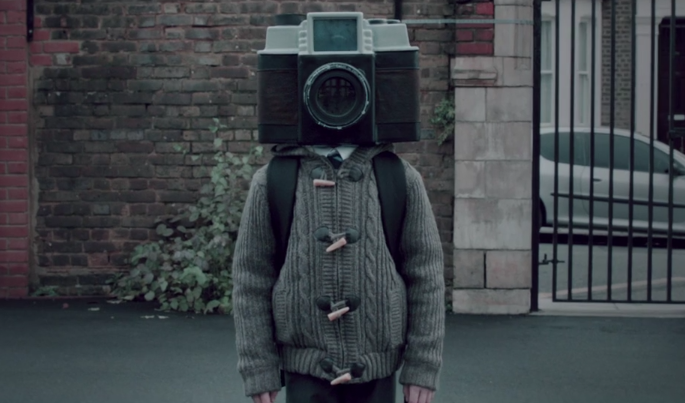 As the tale unfolds, it’s clear that the effect on people’s fixation with the daily life of the “Camera Boy” is hypnotic. They stop noticing things around them and become transfixed as if in a catatonic state -- a scenario we witness on a daily basis with our students on their devices. Perhaps even more important is the issue of privacy in the always-on world. 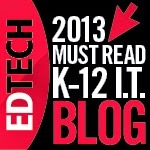 As educators, we want to take advantage of the liminal web while still preserving the anonymity of our learners. That task is a lot harder today then it was a decade ago. This award-winning film is worth 14 minutes of your time. It puts modern reality into focus in a beautiful, strange, and moving way. The Great Homework Debate: Where Does Authenticity Meet Redundancy? 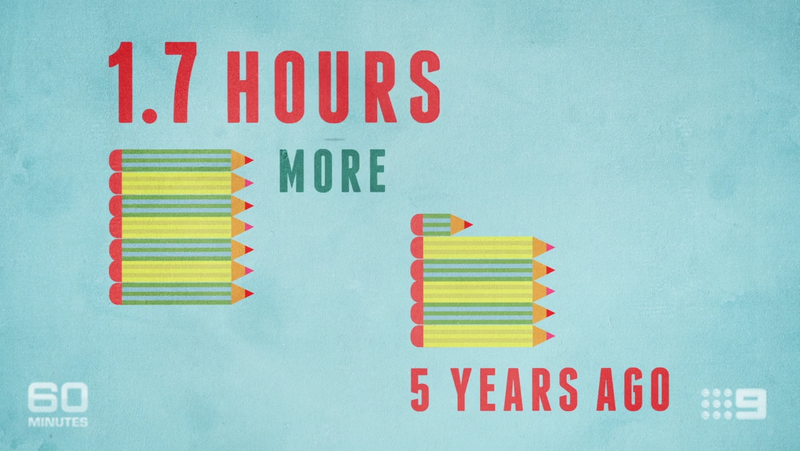 It may seem counterintuitive, but homework doesn’t get nearly the attention it deserves. For all the well-intentioned noise, the Great Homework Debate is still one of the least publicized (and most internalized) consternations for today's students and families. Yes, there is a deep Lexus Nexus catalogue of articles about the pros and cons of homework in American education. And yes, Alfie Kohn has a quotable list of jeremiads against the ills of busy-work. But the real tug-of-war takes place at dinner tables each night, when school children have not yet completed their hours of worksheets. This same push-and-pull continues in faculty meetings where educators wrestle with “how much is too much.” The rebranding of homework as “flipping the classroom” has only muddied the waters. Now instead of reading 20 pages of the textbook, kids watch 20 minutes of instructional videos. At bedtime, though, the question still lingers: where do authentic practice and independent learning meet redundant worksheets and desultory assignments? Many institutions that have investigated the homework issue report increased learning when nightly burdens are lessened. Especially when it comes to ”studying,” the shifting of emphasis away from teacher-prescribed tasks to student-initiated review makes a world of difference in mastery and understanding. 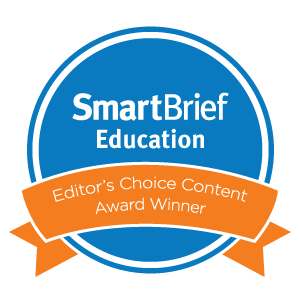 We’ve offered ideas before about ways to teach without worksheets. This concept can hopefully apply to homework, too. 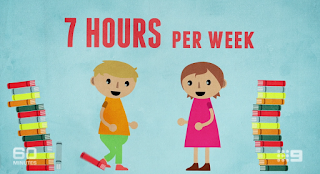 Some terrific ideas come from this Jo Townsend “60 Minutes” video from Australia. It addresses the decline in time spent with friends and hobbies. It also mentions that 71 percent of parents feel they aren’t spending enough quality time with their children. They are instead worrying with homework and running the household. The video ends by referencing Finland, where students have no homework at all, and which consistently outranks other nations in its literacy achievements. 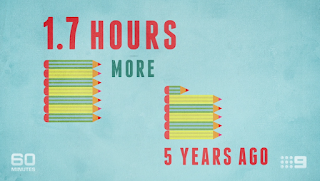 60 Minutes, 'Homework' infographic. from anotherplace.tv on Vimeo. With the continual barrage of news about gun violence in America, it's important that we use all available resources to help students give context to content, and visualizations help us do that. This motion graphic titled, 2015: A Year In Mass Shooting and produced by The Washington Post, is a powerful tool to educate young people about this issue. The headline, "374 mass shooting in 365 days in one extraordinary graphic," travels across the calendar year, pausing only once for the longest period without a shooting. As you watch, the headlines from newspapers around the country appear as the timeline progresses, but it is the voices from the 911 calls that capture the enormity of the human toll. 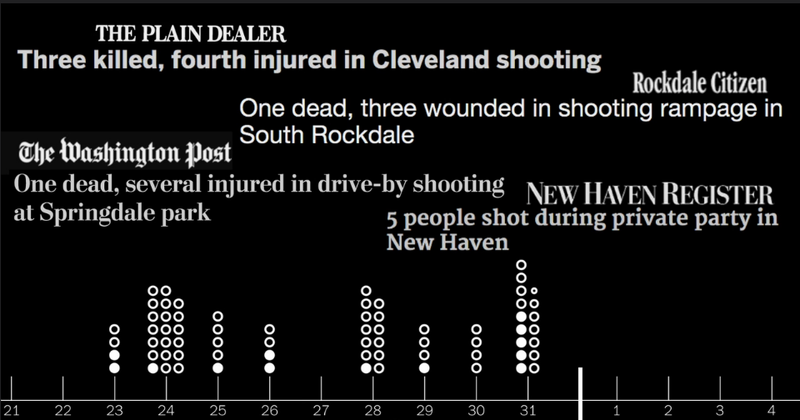 This motion graphic could easily be tied into any media or news literacy lesson using the headlines connected with the timeline of events. It is worth the watch with middle and high school students, and it is guaranteed to invite and spur discussions about the topic. With the continual debate in our nation's government over the immigration policy, and the political rhetoric of the current crop of presidential candidates, it is no wonder that our students have misinformation and questions about immigration. 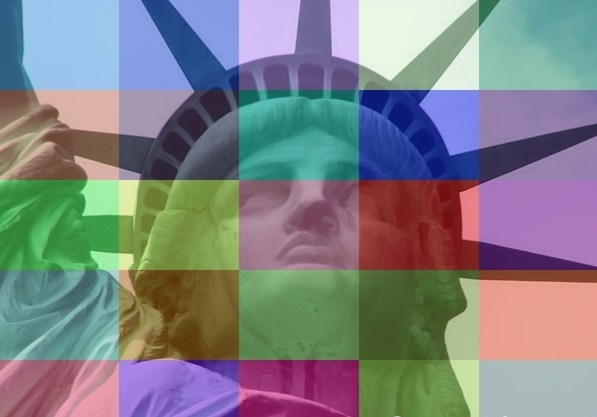 No matter how you slice it, the United States is a nation of immigrants who contributed their blood, sweat, and tears to build the country we are today. America's story is an immigration story, of people who continue to become productive citizens, defend our country, work hard, and help this country grow. We are increasingly alarmed by the lack of understanding of just how much immigrants have contributed to who we are as a nation. The following motion graphic, entitled "Immigration and Growth," was produced by the George W. Bush Institute, and the statistical information brings to light just how much of an impact immigrants have made to the economy. The students are surprised to learn that immigrants account for one-third of new small business owners, or that 40 percent of Fortune 500 companies were founded by first or second generation immigrants. The motion graphic called Just The Facts provides an additional, straightforward delivery of information about immigration in order to try to debunk some of the misinformation that leads people to make assumptions based on political alliances. 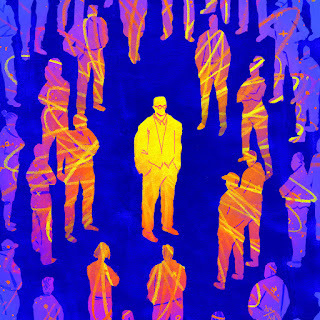 It offers some enlightening statistics about who's here, who commits crimes, and who works. 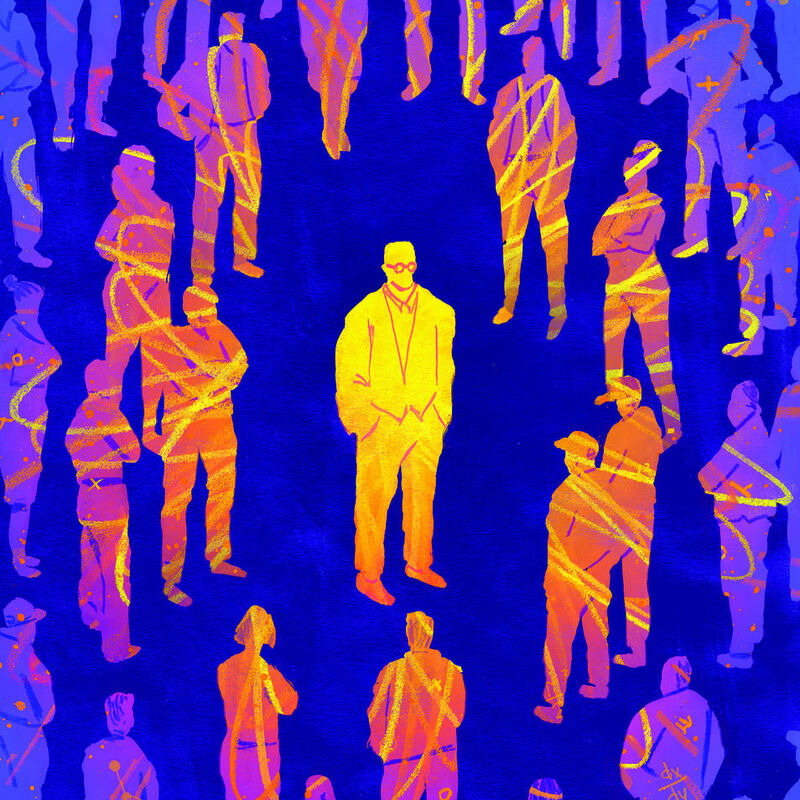 Lastly, the recent article titled "The Secret Of Immigration Genius" by Eric Weiner in The Wall Street Journal sheds further light on the geography of genius that results from the influx of foreigners. He drives home the point that having your world turned upside down sparks creative thinking. Weiner points to recent research on the role of "schema violations" in intellectual development. This occurs when your world is full of turmoil, causing temporal and spacial cues to be thrown off balance. People uprooted from the familiar see the world from a different angle, giving them another perspective that enables them to surpass the merely talented, including Albert Einstein, Sigmund Freud, and Marie Curie to name a few. Weiner refers to studies based on historical analysis that support how creativity is spurred by the intermingling of cultures, and perhaps "we should be wise to view the welcome mat not as charity, but, rather, as enlightened self-interest." As we enter into a presidential year, which from the outset seems more combative that ever, we need to constantly provide our students with a variety of viewpoints and build a learning community that questions information by not accepting everything they hear as gospel truth. 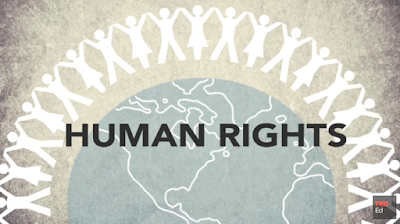 As a nation built on the contributions of immigrants, it is our responsibility. Sketchnoting plays an integral part in our curricula, and we incorporate them whenever we can to help learners connect to content. 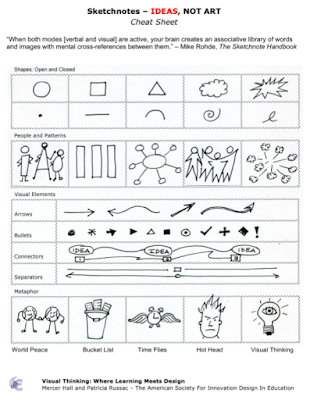 This personal form of note-taking allows students to use the visual thinking process to design information in real-time through words and images. 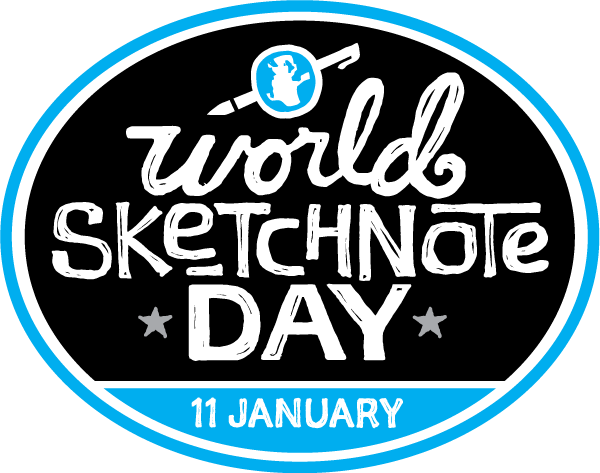 So it is with great pleasure that we recognize the inaugural, kick-off event for World Sketchnote Day. Follow the day on Twitter using the hashtag #SNDay2016 to see some amazing examples. We've been huge fans of the process and have witnessed its extraordinary appeal to our students. While we encourage them to use sketchnotes whenever they choose, we often hear cheers of delight when we make it an active part of a lesson. 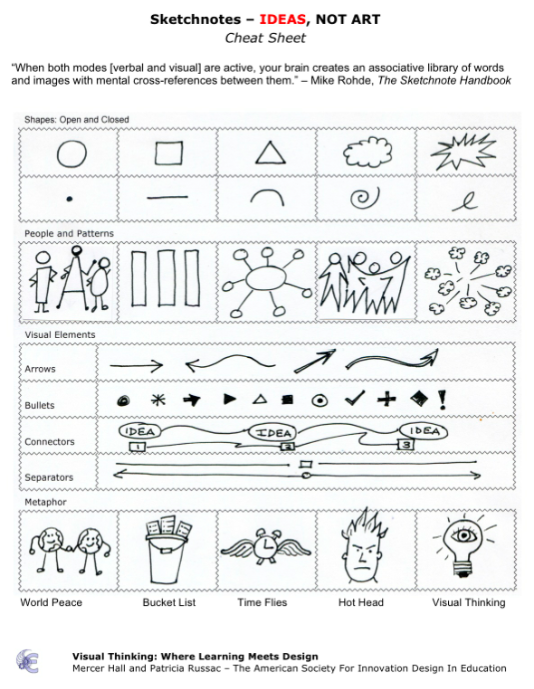 Our students understand that the visual cues in the sketchnote process help them connect to the material and enhance their recall of the content. 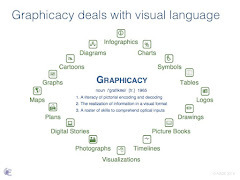 Visually engaging with the information broadens connections and opens up the design process to think about the relationships between text and image. We've watched the evolution in how students use sketchnotes to visually organize their information and to create a structural framework for the content they are learning. 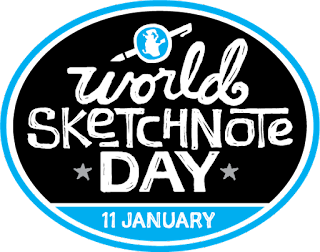 There are lots of resources available to educators, and one of the most comprehensive is Kathy Shrock's guide to using Sketchnoting In The Classroom. For a quick reference to help our students, we developed the one-page cheat sheet in this post as a handy guide to keep in their binders. Click here to download the PDF.